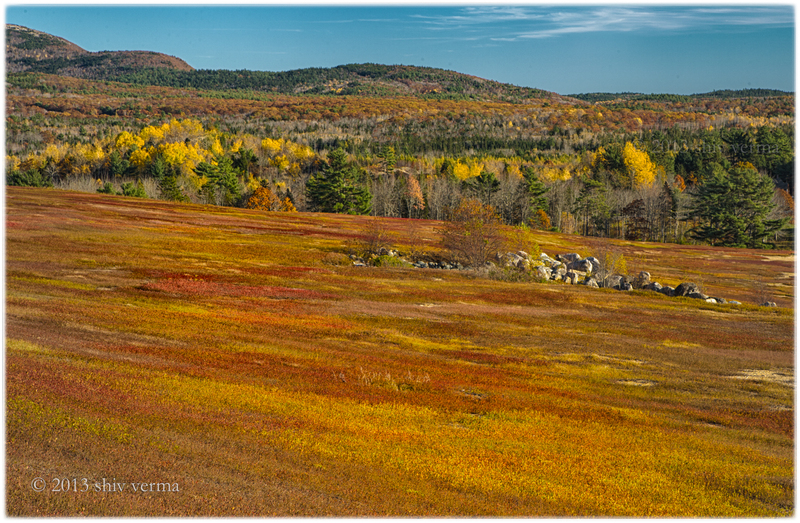 Mid October the blueberries have been harvested and the barrens in Maine are ablaze with color. The fall foliage provides a great background for these vast expanses of red, yellow and green. Around the third week of October the barrens are mowed down to the ground so you need to get your images before the mowing begins. This entry was posted in Photography, Workshops and tagged Barren, Blueberries, Blueberry Barren, Fall, Maine.